Sue Weaver Dunlap lives deep in the Southern Appalachian Mountains near Walland, Tennessee, where she and her husband live on and work a mountain cattle farm. 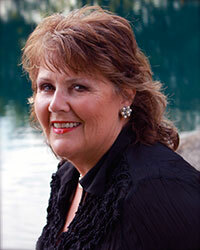 Here, among the turkeys, deer, pets, and Angus cattle, she writes poetry, fiction, and memoir. Her poems have appeared in Appalachian Journal, Anthology of Appalachian Writers, Appalachian Heritage, and Southern Poetry Anthology, among other anthologies and journals. Her chapbook entitled The Story Tender was released by Finishing Line Press in 2014. 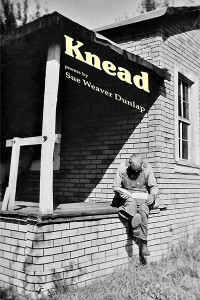 Sue Dunlap’s first full collection, Knead, instantly authenticates its soulful, sagacious voice when the speaker, in the title poem, invokes her mother’s advice: “Girl, just hold folks, / knead them into place …” Indeed, kneading is this wonderful book’s biding trope. Dunlap not only meticulously kneads each line, each stanza, each poem (and what it has to tell us) with intuitive grace, an offhanded folk elegance as subtle as it is powerful; but she also reveals the timeless patterns in the kneaded shapes of her native geography and its people: the vessels, furrows, plow-soles, creek beds – the mystical way things fit together, sunder and heal, the inscrutable symmetry and weave of people wandering this earth, unable to stop loving one another. 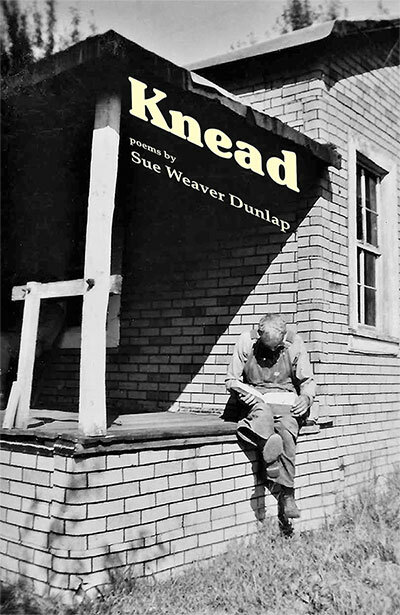 In Knead, Sue Dunlap maps the topography of a heart’s landscape created by her own rich memory and stories and her facility for others’ stories adopted as memory. Each point on the map, each poem, whether located on Big Frog or the banks of Tumbling Creek or on a street corner in Washington, DC, is an emotional crossroads replete with vivid telling images, hard choices, and acute passions. Take up this map and follow. Sue Weaver Dunlap has laid the table full. These warm and aromatic poems combine to create an Appalachian family memoir; a portrait of lives lived by the seasons and survived by ritual and resilience. In the spirit of Robert Morgan’s early work but stirred with a woman’s hand, Dunlap spoons out translucent strings of words, pulled hard by gravity and left to cool in jars, preserving a way of life that’s fading fast. none. People form our days, ease or pain don’t suffer us. or churn muddy after hard summer storms up river. Don’t matter any, Mama said, that extra year on our skin. knead them into place, and rock, rock as the leaves gather. gravy rests between white and brown.